Outside-In wins the Triple Crown. The headline claim of advanced process management approaches such as ‘Outside-In’ is winning the triple crown. What do we mean by that? Triple Crown is the ability to simultaneously reduce costs, improve service and grow revenues as a direct consequence of implementing advanced process management. Outside-In shifts attention from ‘doing things right’ to ‘doing the right things’ and as a consequence much of the work taking place within an organisation becomes ‘dumb stuff’ when tested against the achievement of the successful customer outcome. This ‘dumb stuff’ can be eliminated and typically will result in cost reductions of 40-70% within three to six months of implementation across traditional processes. What does the cost reduction include? A large slice of reduction is in the potential effort to run a process – the people. It also includes considerable swathes of information technology, now no longer required to manage the significantly simplified ‘outside-in’ processes. Saves are also available across the enterprise from reducing the need for ‘outsourcing’ that does not explicitly contribute to the delivery of successful outcomes. Progressive Outside-In companies such as Google, Apple, Gilead Sciences and Southwest airlines actively redeploy staff to the benefit of the bottom line – making more with less. Service improves and revenues grow. The size of the prize exceeds normal ‘inside-out’ expectations as many companies who measure efficiency and effectiveness struggle to realise single digit improvements against legacy processes. However when you look at processes through the ‘outside-in’ lens much of the previously assumed ‘must be here’ activity is no longer required. Work has grown over time and become complicated and separated into functional specialist areas supported by a multitude of IT systems undertaking specific tasks such as CRM, accounting, claims management and HR systems. In the context of Outside-In these activities can be challenged with the question “does this activity specifically contribute to the achievement of the SCO? “. If the answer to that question is ambiguous then applying relevant techniques creates a realignment of work and releases significant cost previously disguised as necessary process. It gets better. The reality of processes in an Outside-In context means they are specifically contributing to the achievement of the SCO and correspondingly meet additional requirements such as compliance and regulation more effectively. Transparency of process – seeing who does what, where, when and why – is another by product of the new environment. So in addition to reducing costs, improving service and growing revenues we better meet regulatory requirements. The latter is especially important in the new business reality created following the recent recession and reshaping of industries such as banking. If it is so good why aren’t we all doing Outside-In? Large bureaucratic organisations typically suffer from senior management inertia, disbelief and arrogance. The reality of successful Outside-In companies is plain to see as they become leaders of their business sectors. Their performance outstrips competitors by several magnitudes and they are often regarded as having some magic ingredient – you may have heard your management team say ‘ha yes they are quite different to us as our challenge is unique’. The bottom line is that Outside-In companies utilise a range of tools and techniques that improve alignment to the successful customer outcome and these approaches go way beyond the industrial/information age mind-set. Outside-in approaches create a completely new reality that reshapes how we manage and organise work so much so that functional pyramidal structures become artefacts of the past. A senior manager who may have spent considerable time clambering to the top of these rigid monolithic structures is directly threatened by the shift to Outside-In and may be understandably reluctant to embrace a new order of business that completely changes most things you have ever known. How can you embrace Outside-In? The shift in mind-set is underpinned by method and new techniques (CEMMethod™) appropriate to process alignment for successful customer outcomes. Several organisations offer support, training and coaching towards the new order and include emergent technologies that enhance our ability to better organise work. Direct training is available through the BP Group (www.bpgroup.org) where people are encouraged to qualify as licensed BP Group Certified Process Professionals®. 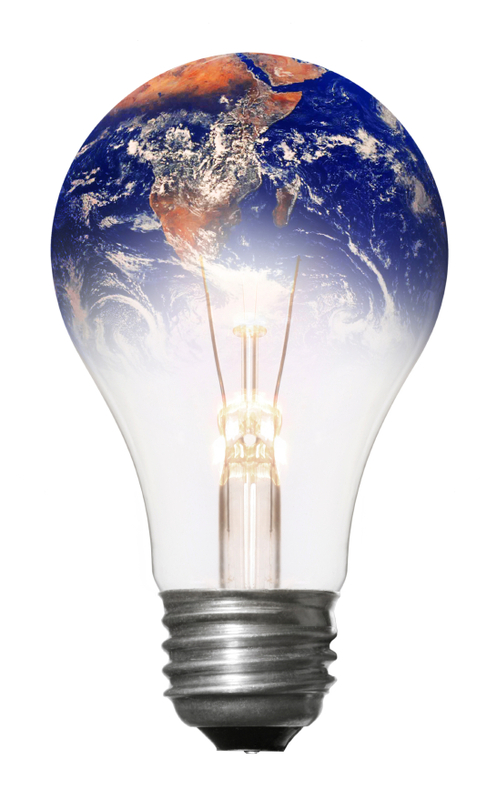 The Future of Business Process Part 2: Outside-In, Lean Six Sigma, BPM and all that…. The world’s leading companies have come to realize that only when their customers are successful, will they be successful. In pursuit of their market leadership not only they need to spend time to look inside their business to know how things are getting done but also look outward to get deep understanding of their customers. Process has indeed come a long way from it humble routes amidst the early industrial revolution and Adam Smiths ‘Wealth of Nations’. economies are (still) in a state of denial, we are undergoing the greatest reorganization in the business world since the Industrial Revolution. One of the first people to describe process was Smith who in 1776 describes a new way for process in a Scottish pin factory. He outlines the production methods and created one of the first objective and measureable enterprise process designs. The consequence of ‘labour division’ in Smith’s example resulted in the same number of workers making 240 times as many pins as they had been before the introduction of his innovation. Adam Smith participated in a revolution that transformed the planet. He lived at a time when the confluence of factors, political change, emergence of the New World, industrialization and a new optimism that the world could move from the shackles of the past. In heralding a movement that developed into Scientific Management the foundation was laid that established a way of working that has survived and thrived for 200 years. And yet now, more than ever, is a time to perhaps take a careful glance back to the past to guide the way for not only surviving the current economic turmoil but to also prepare us to thrive in the seismic shifts of the 21st century ‘new world’ order where the customer has become central to everything we do. Leading global corporations are now evolving their tried and tested approaches into methods suited to the changed challenges of customer promiscuity, globalisation, IT innovation and the Prosumer. That is the essence of what we call Outside-In. Outside-In can really be summarised in the statement that “the customer experience is the process”. We can no longer just look within our organisation boundary to create a sustainable competitive advantage. We have to extend our scope and embrace a broader view of optimising process by understanding, managing and developing customer expectations and the associated experience. We need to articulate Successful Customer Outcomes and let those guide our product and service development as we move beyond the limiting scope of silo pyramidal based left to right thinking. In 2006 BP Group Research identified the ‘Evolution of Approaches’ and how steps can be taken to grow Lean Six Sigma’s influence and success into a strategic Outside-In toolkit. In fact the last 4 years are seeing the fruition of these advances with Best in Class 2009 & 2010 Award winners PolyOne, a dyed in the wool Lean outfit, advancing their stock price six fold in 18 months on the back of radical and innovative changes across its customer experience. 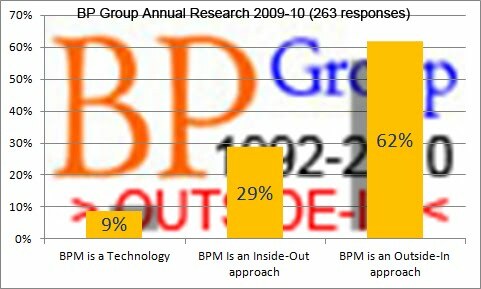 Some see Outside-In as the death knell for approaches such as for old style BPM, BPR, TQM and Lean Six Sigma. This is not so. This narrow and simplistic view does not acknowledge the stepping stones available to embrace the new customer centric order. In fact the foundations of our futures are always laid on the learnings of the past with those innovators who recognise the need to evolve leading that charge. Victory will go to the brave who seize the moment and push forward their approaches into the brave new world of Outside-In. The sector leaders have set a precedent – can you embrace the challenge? If you wish to read and listen more on this theme the following references are useful. Join the community discussing these issues, challenges and opportunities. we are undergoing the greatest reorganization in the business world since the Industrial Revolution. One of the first people to describe process was Smith who in 1776 describes a new way for process in an English pin factory. He outlines the production methods and created one of the first objective and measureable enterprise process designs. The consequence of ‘labour division’ in Smith’s example resulted in the same number of workers making 240 times as many pins as they had been before the introduction of his innovation. In 2006 BP Group Research identified the ‘Evolution of Approaches’ and how steps can be taken to grow Lean Six Sigma’s influence and success into a strategic Outside-In toolkit. In fact the last 4 years are seeing the fruition of these advances with recent Best in Class 2009 Award winners PolyOne, a dyed in the wool Lean outfit, advancing their stock price six fold in 18 months on the back of radical and innovative changes across its customer experience. The Death knell for BPR, TQM, Lean and Six Sigma? Some see Outside-In as the death knell for approaches developed during the late 20th century. Not so as that narrow and simplistic view does not acknowledge the stepping stones available to embrace the new customer centric order. In fact the foundations of our futures are always laid on the learnings of the past with those innovators who recognise the need to evolve leading that charge. Steve is the founder of the Business Process Group (www.bpgroup.org) a global business club (originally formed 1992) exchanging ideas and best practice in Business Performance Management, Transformation and Process Improvement. He leads from the front and works with many of the leading fortune 500 companies as a mentor and coach specializing in the implementation of performance improvement, process change and transformation. Steve is ‘Expert Advisor’ for IQPC and participates as a judge, workshop and track leader for the Lean Six Sigma and Process Excellence summits in the US and Europe. He recently co- judged the Best Improvement Project category and selected US company PolyOne as the foremost Lean company on their journey to Outside-In. An inspirational speaker and author of several books including “A Senior Executives guide to BPR”, “In Search of BPM Excellence”, “Thrive! How to Succeed in the Age of the Customer” and recently “Customer Expectation Management – Success without Exception”. The new book, “Outside-In. The Secret of the 21st century leading companies” chronicles the rise and approaches shared amongst the best companies in the world. Steve is noted for his direct and pragmatic approach. More than 260 people took the time to respond and produced the following result. A selection of supporting comments and authors reveals a startling trend as business process management as a purely ‘inside’ the organisation activity, to one now best reflected in the phrase “the customer experience is the process”. This latter view coined ‘Outside-In’ fundamentally changes every aspect of the way we do business in terms of people, processes, strategy and technology. The next poll will build on this understanding…. By Fred Held Former Marketing and Operations Executive Mattel for McDonald’s and Burger King. It’s crazy that so many organisations still focus on the inside-out approach. It seems that fundamental marketing practises are forgotten as soon as we get to work. I still recall Kotler from my MBA over 10 years ago defining marketing as understanding and producing what the customer wants… When we link our internal processes and architecture to truly deliver that then we succeed! You can join the follow-up survey here – Is your business ‘Inside-Out’ or ‘Outside-In’? Process Simulation | BPM | Customers – mutually exclusive? Interesting discussion thread this week on the BP Group LinkedIn is certainly provoking a debate – see http://bit.ly/4Er8N6 for the latest. The debate was sparked by Mark Barnett (SVP Process Bank of America) who delivered an eye opening presentation at the Lean Six Sigma and Process Improvement summit in Florida in Janaury 2010.